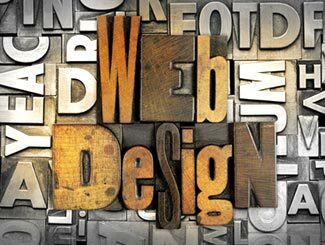 When we start a web design project, we adhere to a tried and tested method of appraising a client’s needs. Obviously, the main aim of getting a web design company involved is so that they can generate a web presence with visual impact along with lead generating profitability. However, even the most stunning design should only be the starting point! An effective website should be a carefully crafted blend of creativity along with meticulous adherence to best practices (responsive design, security etc). Web design at this level can turn a casual browser into a buyer. We try very hard to understand what you want to achieve with your website and so the first part of the web design process for us is to listen to you, the client, very carefully. We need to understand your objectives, your target and potential audience, your business or products, your competition and much more. Before the creative process begins, we will also discuss options of Internet marketing as this will have a bearing on how the site is built. What has become much more of a challenge in recent years is striking an effective balance between a site which ranks well on top search engines and as such is friendly to search engine ‘bots’ or ‘spiders’ and the needs of the people who will experience the site in a very different and human way. The needs of these two visitors can often be completely different and the art of effective web design is to understand this and provide the correct experience for both. At Dark Sea Web Design we create sites that both rank well on search engines and provide a positive human experience too. We listen to our clients. We recognise that it can be difficult for a client to communicate ideas and aims. So we make sure that in the creation of your website, we listen very carefully to what you have to say. In addition, we will be honest when we answer any questions you might have. Our designs are not simply visually striking but are created to generate more business for your company. Our designs are created in such a way as to incorporate SEO best practices into the structure and build. We can create projects in standard HTML, CSS and open source and, when necessary, in more complex technical programming languages. We make sure that the content management systems that we integrate into websites are easy to work with whether in an open source project or a completely customised system that we build from scratch. We have many years of experience in writing copy for websites and blogs. When we write copy for our clients websites we make sure that it is focused, to the point, persuasive and likely to lead to more business as well as being optimised for search engines. When a client’s marketing budget includes e-mail marketing or pay–per–click campaigns, we can create highly effective landing pages integrated into your site in such a way that we can generate reports and track effectiveness. When we design an ecommerce solution for a client, we try to make the process straightforward. Moreover, we try to build an online store which is easy to buy from. This might sound strange but most people have found online shopping to be difficult and confusing at some point. We make sure that an online store is both easy to manage for our client as well as being very easy for the consumer to navigate and buy from. Our web design achievements speak for themselves. Please visit our web design portfolio and take a look at some of our work for companies based both in Cumbria and elsewhere. You can also check out our testimonials page. "Many thanks to Dark Sea Web Design for all their help, friendly advice and expertise in designing and setting up our current website. The comments that we receive from our customers about our clear, concise website is very rewarding and has helped our business enormously. We have no hesitation whatsoever in recommending Dark Sea Web Design and wish them continued success"